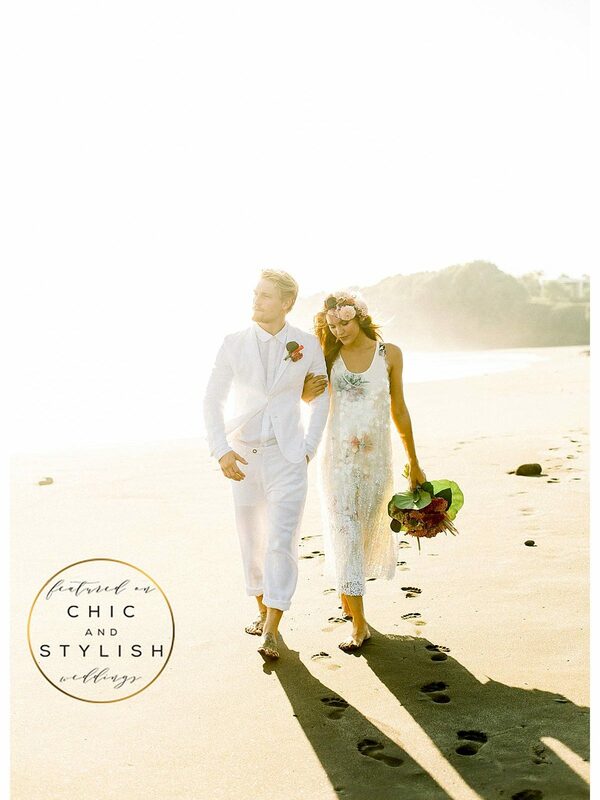 Intimate and Romantic celebration of Love and beauty on the sands in Bali. Ana chose a dress with floral details, touches of coral and black with shimmering fabrics … black wishing stone …. black sand and a bouquet of cluster celosia stalked colored with sea grape leaves … foraged from the local beach . Hair crown of tropical orchids , pale sun washed astes and rose . Harry select a white lines suit , and shares blossoms for his lapel.